As you guys may recall, I was previously using the Smashbox BB cream as my go-to coverup for daily use, unfortunately they’ve changed their formula and it no longer agrees to my rather reactive skin (insert major sad face here), so I’ve basically been on the prowl for a new foundation/BB cream/anything to make my skin look great! I was introduced to the Oxygenetix foundation by Dr Ridhwana Vawda when I attended her Dermaceutic Promo Day recently (I will tell you all about the promo day + Dermaceutic in the upcoming weeks, promise). 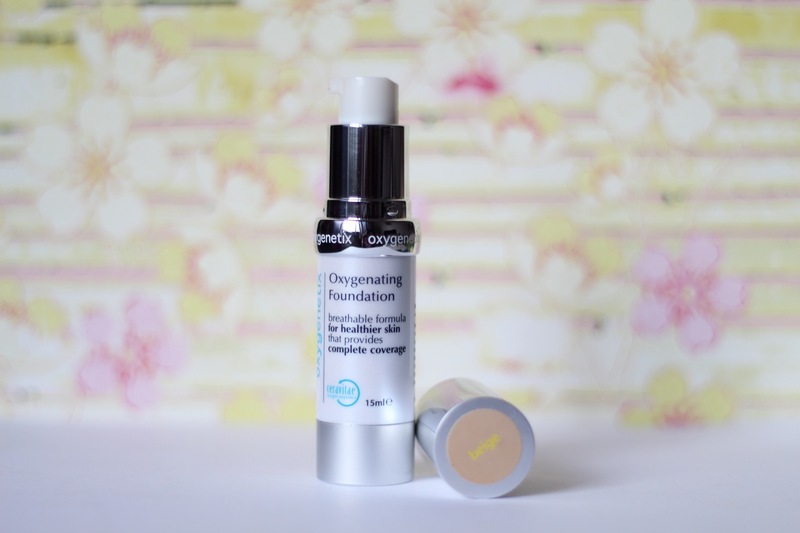 The Oxygenetix Foundation in Beige was applied to my skin after my treatment and I was provided with a bottle of my own, to take home, test out and review. Now, before I tell you about my experience with it, let me just tell you a little about Oxygenetix Foundation. Oxygenetix is an Aloe gel based foundation with a Ceravitae Pro Oxygen complex. What’s Ceravitae?Well, in layman’s terms, Ceravitae helps to deliver high amounts of oxygen to the skin which aids in proliferating young, fresh and plump skin cells. The foundation is formulated specifically for those suffering with acne, rosacea and sensitive skin as well as for use after surgical procedures. It contains a broad spectrum physical UVA/UVB sunscreen SPF 25 which prevents burning caused by UVB rays and premature aging caused by UVA rays. In one sentence, it’s a breathable foundation that aims to camouflage and conceal imperfections, heal skin and provide sun protection, all whilst not blocking the pores or causing breakouts. So does it achieve all that it aims to achieve? Well, after it was applied to my skin, following the treatment, I noticed that all the redness and most of my dark marks were covered. Of course the little bumps from my breakout were still visible but my skin was even-toned, bright and for the lack of a better word, glowing. Only one layer of the foundation was required to even my skin out, however I did dab a little extra on to the really dark marks as these were still slightly visible. I’ve been using it everyday for about 2 weeks now and I’m happy to report that it hasn’t caused any breakouts (this is the part where I knock on wood). I’ve also noticed that without a primer as a base, the foundation lasts about 5-6 hours before it starts to fade away, so perhaps with a primer it will last about 10-12 hours. Overall, it’s a really good foundation and I will highly recommend it to those of you who have highly sensitive/reactive and/or acne or rosacea, as it really does a great job in covering up any imperfections and evening out the skin. The foundation is available in both yellow-based (darker skin tones) and blue-based tones (lighter skin tones), so you’ll definitely be able to find a shade that perfectly matches your skin tone. 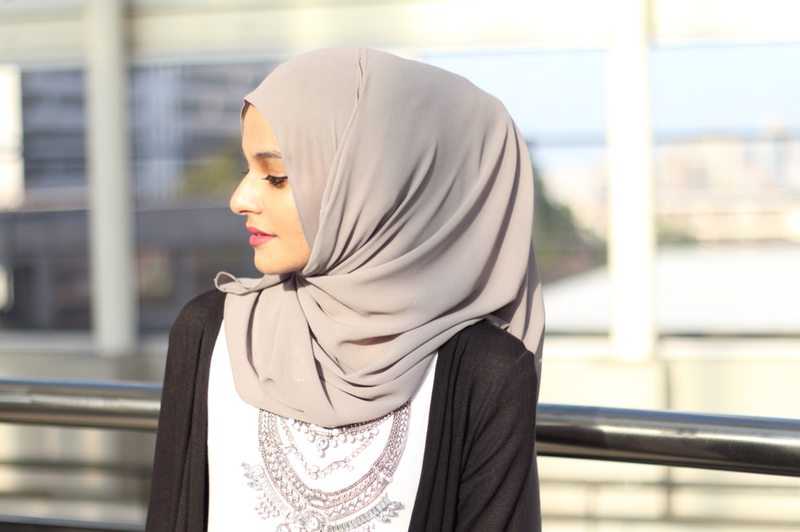 You can purchase the foundation from Dr.Ridhwana Vawda (her office is based in Crescent Towers, which is above the SPAR in Overport) or if you aren’t in Durban, I’m sure you can contact Oxygenetix and find out who stocks it. It retails for about R800 per 15ml bottle which may seems quite exorbitant – but it’s worth it for a foundation that covers up redness, evens skin and doesn’t cause any breakouts. Also, very little is required to cover your entire face, so each bottle will last you about 6-9months of everyday use. And obvi, if you aren’t sure if it will work for you, just head on over to an Oxygenetix stockist, tell them that you’re interested in purchasing and ask them to apply some onto your skin – they’ll find your exact match in the shades available and you can head on home and determine if you love it/hate it (but you’ll love it) and then make your purchase. If you’ve tried out Oxgenetix before, do let me know in the comments below or via email, as I would love to hear about your experience! Sounds quite interesting! Oxygen is fantastic for the skin, so included in a foundation formula sounds like a great idea to me. A little pricy though! It definitely is more expensive than most foundations. But it’s really worth it if you have sensitive skin and break out easily and therefore constantly throwing out/giving away bottles of foundation – it works out to the same thing. It’s a hard life having sensitive skin!! I love my oxygenetics I don’t use anything else now. It’s super sensitive and there is even one for skin with acme which will treat your acne as you wear it. I love cosmo ceuticals.